The India Employee Survey by Hush, an HR tech startup recorded that 22% of 3000 respondents across sectors felt that their productivity was affected by stress and more than 50% of them claimed to suffer from workplace depression in some form or the other. HR tech startup, Hush released results from the India Employee Survey that took responses from 3,000 employees across IT, manufacturing and financial sectors while also pooling in responses from startups. The survey results were worrying indeed as the pegged the number of employees suffering from some form of workplace depression at 50 per cent of the sample. Moreover, 22 per cent were aware that stress and the feeling of being overworked were among the factors affecting their performance at work. Employees and medical professionals both seem to hold the lack of support systems at work and amidst personal circles to be a prime reason behind individuals failing to deal with stress and subsequently going down the depression spiral. He added that while the level of awareness about these issues have increased over the years, India still does not have a sufficient number of support groups to cater to those who need help. Prolonged exposure to internal and external stress has been known to be linked to the hormone, cortisol, which in turn increases vulnerability to stress and anxiety disorders. That coupled with the lack of access to a strong-knit support group leads to desolation, depression and a persistent sense of being alone. 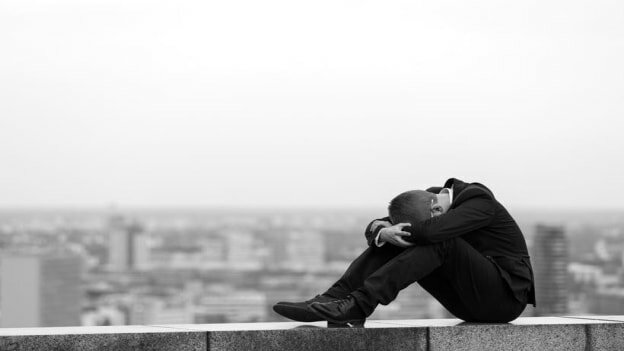 It is therefore not a surprise that these depressive blues affect performance on the job. Being a pervasive feeling of sadness and gloom, depression affects every aspect of ones life and leads to a dearth of motivation, engagement and involvement. Ashutosh Dabral, Co-founder & CEO at Hush said, "Depression as a result of prolonged stress is one of the most agonizing issues faced by millennials today at their workplaces. Considering that they spend most of their waking hours at work, this unwanted depression is affecting both their personal and social lives." Organizations have started to acknowledge the need to tackle workplace depression and many companies have EAP (employee assistance programs) in place. That said, what is required is a shift in mindset where employees and employers alike can understand the challenges and needs of depression without the shroud of stigma around it. Employees also need to be encouraged to make use of the available programs without worrying about what it would entail with regard to how they are perceived at work. While organizations try to tick off workplace happiness with quick surveys, maybe a more in-depth understanding is required to truly find happiness at work. NEXT STORY: OLX to double sales team: Is 2x bigger, 2x better?